Tote your flea-market finds, a sweater, some embroidery – or all of the above – in the roomy Saturday market bag. Choose from three variations, including two reversible designs. With optional magnetic closures at each side, this bag unsnaps for additional carrying space. 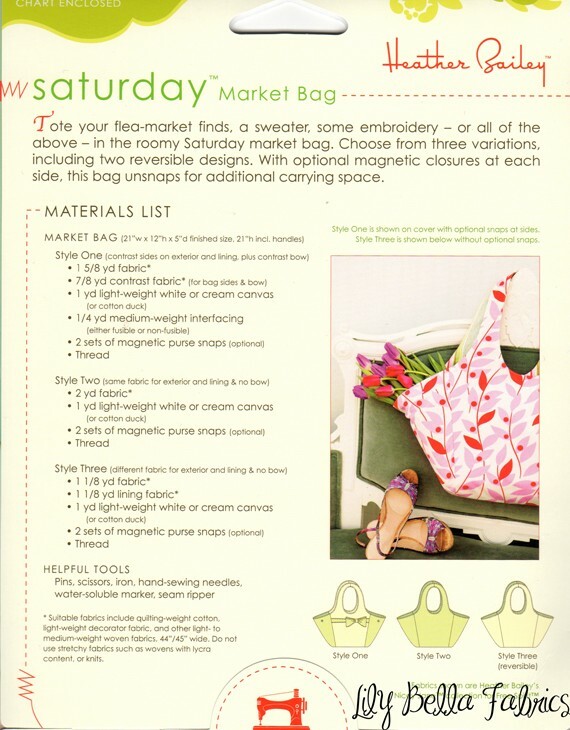 Includes pattern & instructions for expandable shopping tote in three styles. This pattern includes comprehensive instructions (with illustrations), as well as construction tips. Includes a metric conversion chart.